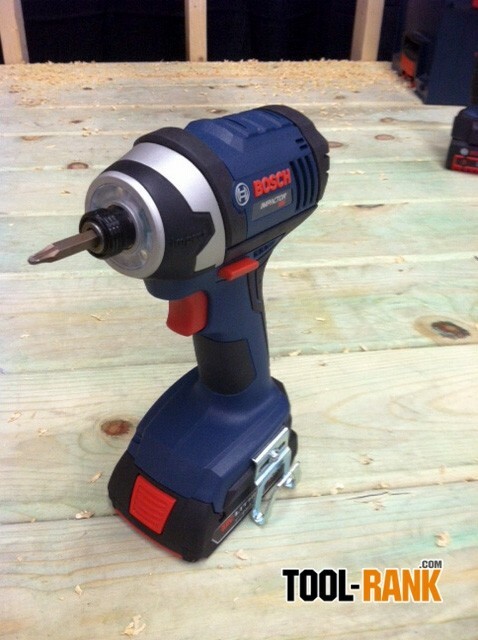 How much power do you really need from an impact driver? Unless you are running lag bolts, you really don't need as much as the top of the line impact drivers offer. The race to be the most powerful will never end, but that doesn't mean that you need to participate in that race. 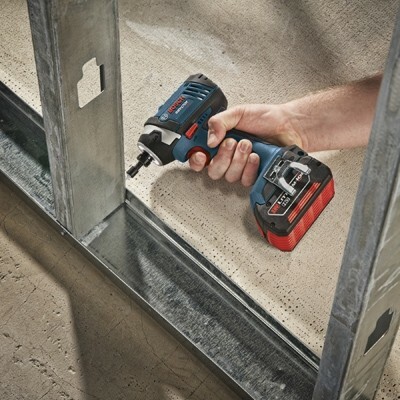 You might just need something like Bosch's new IDS181 Impactor, an Impact Driver for driving screws. Delivering 1,150 of torque, the IDS181 may offer less torque than the top of the line models, but it is far from being under powered. A smaller and lighter overall tool also appears to be a benefit of the reduction in torque. You have probably noticed that the IDS181 looks a lot like Bosch's PS41 12V ultra compact line of impacts, and it shares the same 3 LED light-ring that illuminates your driver without those annoying shadows. I like to think of the IDS181 as an ultra compact for people that still want the runtime benefits of an 18-volt power system. The new Bosch IDS181 is available now. Kits range from a suggested price of $169 for the IDS181-102 with one SlimPack battery, $210 for the IDS181-02 with two SlimPack batteries and $259 for the IDS181-01 with two FatPack batteries.